Gregorian is a German band that performs well-known pop and rock songs in the style similar to the Gregorian chants. All songs are performed by the choir of 10 people. Although the style of the band’s music is very different from the real Gregorian chants, band perdorms in the style of the Roman Catholic Church, that uses Gregorian chants in liturgical chants. 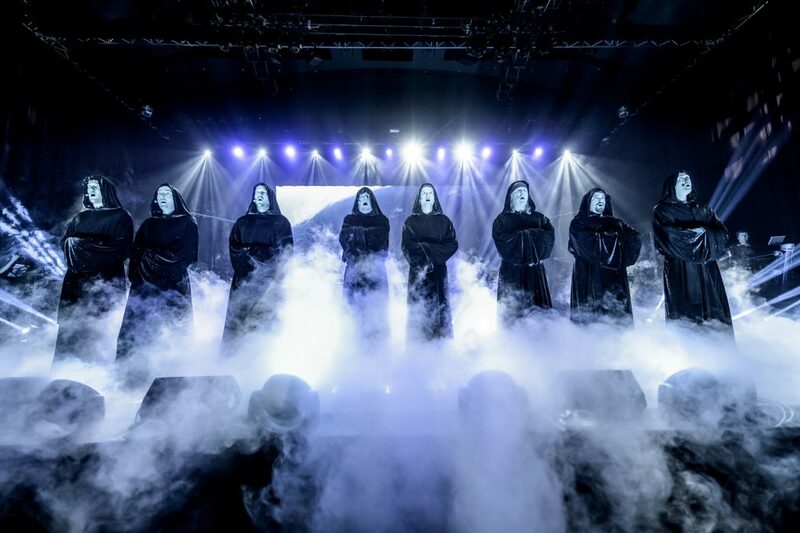 In particular, members of the band perform in monastic robes at concerts. Gregirian is founded by Frank Peterson, who also is one of the founders of the project Enigma. Also he has produсed such performers like Ofra Haza, Sarah Brightman, Princessa, Violet. In addition, Frank Peterson is famous composer, arranger and sound engineer. He plays the synth and the piano, as well as the guitar and drums. As a producer, Frank is able to take any song and make it so good as it is possible to be. By the late 1990s, when the audience has already accustomed to the frequent use of chants in the New Age, pop and rock music, Peterson decided to return to his old idea, but in another way. In 1998, Frank Peterson, together with his new team (Michael Soltau, Carsten Heusmann and Jan-Eric Kohrs), renews the work on his old project Gregorian. This time, he wants the classical choir to ​​sing songs of different styles. It was necessary to choose something interesting and unexpected from the huge variety of music. Frank understood that the final assessment of his project would largely depend on the quality of the vocals, so when the musical part was ready, he personally chose a choir of 10 vocalists, the most famous session singers in England, natives of the famous cathedral choirs and classical institutes. The idea of ​​using a choir was not new, since after the success of the Enigma album MCMXC a.D. many such groups have emerged. Surely, Frank took a big risk, because no one knew what the audience would thimk about such a performance of popular songs. A series of Gregorian albums «Masters of Chant» and «The Dark Side» he has created, has stable commercial success. In the Gregorian repertoire there is a wide range of performances, from classical and Christmas songs to rock ones. The Beatles, Led Zeppelin, AC / DC, Deep Purple, Metallica, Phil Collins, Rammstein, HIM, etc., as well as their own compositions. In contrast to the real Gregorian chants, the choir performs with an impressive musical accompaniment, including a guitar (depending on the composition – electric or acoustic), drums, keyboards. There is also computer processing of music using the special effects. At the concerts Gregorian perform in the style that is inherent to the rock bands, in particular, they perform live.